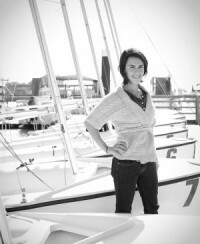 Jessica joined CCSI as Executive Director in 2007, bringing extensive racing experience, design and management skills and an abiding affection for the sport of sailing to the position. Since her time with CCSI she has implemented various successful youth and adult programs and is a current US Sailing Instructor Trainer, a US Sailing STEM Educator and is part of the Small Boat National Faculty. In 2008, Jessica was awarded the Charleston Regional Business Journal prestigious “40 Under Forty” award for her work with CCSI.